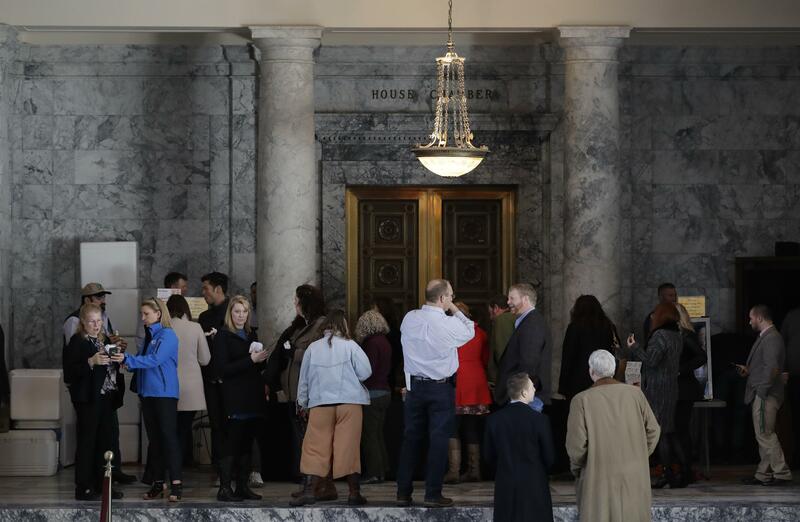 OLYMPIA – Legislators would have to make public some of their correspondence, documents and memos – although not as much as other government officials in Washington – under a proposal filed Thursday. Sen. Jamie Pedersen, D-Seattle, called his plan a result of “a very painful learning experience” lawmakers went through last year when they tried to push through special exemptions to the Public Records Act after a court said they had to comply with the law. “The Legislature needs to move to a place of greater transparency in its work,” Pedersen said in describing the proposal to reporters after it was drafted but before it was filed. Under the proposal, legislators would have to comply with public records requests for much of their official correspondence, meeting calendars and documents about bills that are filed. They would not have to release personal information about constituents who contact them, but they would have to reveal the names and employers of lobbyists who contact them. Information in correspondence from whistleblowers also could be protected so they could contact lawmakers “without fear of reprisal,” Pedersen said. Drafts of bills that are discussed among themselves but never filed, or correspondence connected to such proposals, and vote counts in caucuses also would be exempt. Pedersen called them “narrowly tailored exemptions for sensitive records. Keeping that information from public view is necessary “for us to be able to do our job effectively,” he said. Local government officials have often made the same claim but do not have such a strong exemption for preliminary documents prepared at taxpayers expense. Pedersen said his original proposal extended such an exemption to local governments, but he decided to keep the bill focused on legislative records. Requests would be processed by the offices of the Secretary of the Senate or the Clerk of the House, rather than by individual legislative offices. Responses to a request would be required in five days unless the Legislature was in session. Pedersen defended a delay for requests during the session, saying it would be necessary because of the volume of work at that time. “You could have the place grind to a halt by people trying to throw sand in the gears,” he said. His proposal, which has four other Democratic co-sponsors, including Spokane Sen. Andy Billig, will attempt a different route than legislators took last year when they introduced a bill to exempt themselves from the Public Records Act with no hearing, passed it on the same day inwith no debate in less than an hour, and sent it to Gov. Jay Inslee with large majorities. At the time, they faced a Superior Court order to release records sought by the Associated Press, The Spokesman-Review and other news organizations that had filed a lawsuit when their requests had been denied. An appeal in that case is still pending with the Supreme Court. After Inslee vetoed last year’s bill, the Legislature created a task force to consider changes to the Public Records Act in the months between the 2018 and 2019 sessions. If the bill passes as currently written, it would not necessarily make the appeal moot, he said. The bill will have a committee hearing on Feb. 13 and go through the standard process for legislation, he said. That unusual process, which helped generate critical front-page editorials in newspapers across the state and thousands of calls for a veto of the bill, was “one of the key mistakes we made,” Pedersen said. Published: Jan. 31, 2019, midnight Updated: Jan. 31, 2019, 10:41 a.m.